Sweeter Than the Day recorded 2 CDs for Songlines: American Bandstand(now re-titled Forever) (2000) and Sweeter Than the Day (2002). 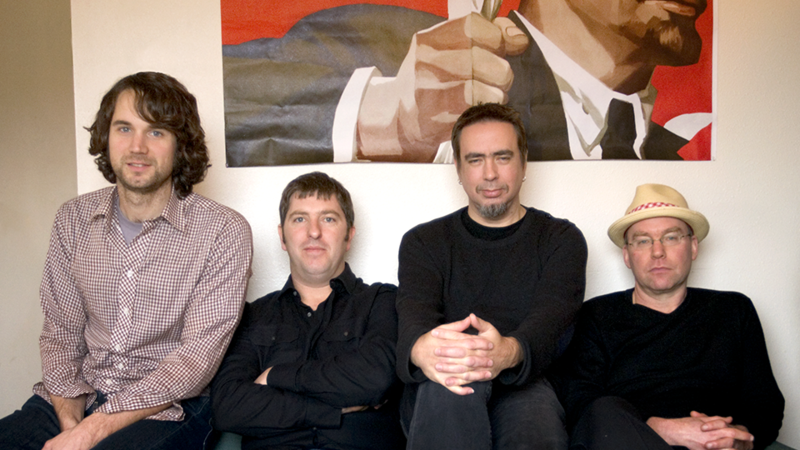 In 2005, Kufala Recordings released Live at the Rendezvous, December 2004, recorded over a series of four nights at the Jewel Box Theatre at the Rendezvous in Belltown, Seattle. The band’s most recent recording is the self-released A Walk in the Dark (2008). A Walk in the Dark features 11 new originals, showcasing Sweeter Than the Day’s signature blend of Horvitz’ unique and understated harmonic language,Tim Young‘s brilliant and beautiful solos, and the group interplay that the band is so well known for. “This is more of a playing record”, says Horvitz. “It isn’t live, but it’s a lot closer to that feeling than Forever or Sweeter Than the Day – a little looser and a little edgier: it’s got more up-tempo tunes and we stretch more. Tim does some things that just knock my socks off. We actually recorded this the same week I recorded the new Gravitas CD, and we do three or four of the same tunes. The contrast is fantastic between the two bands, and I am blessed to have not one, but two ensembles bringing so much life to my pieces.” Some of that edge can be heard on The 29th Day of May, despite its gentle theme, as well as A Moment for Andrew (for pianist Andrew Hill), and Between The Floors, both featuring a mutated swing feel driven by newest member Eric Eagle (drums). Other highlights include Tim Young’s blues groove on A Walk in the Rain, two gorgeous ballads, Good Shepherd andUndecided, and the lovely Waltz from Woman of Tokyo, excerpted from a score for the silent film of the same name by the iconic Japanese director Yasujiro Ozu. The CDs are available at record stores, online, and here at the Shop page. ” …a great showcase for Horvitz’s beautiful compositions, his really strange angular chord progressions.